John Zanmiller said lots of things go through your head when sitting in a deer stand. Those fears are shared by many deer hunters since chronic wasting disease found its way into Minnesota. Blufflands was one of three hunting associations at the Capitol on Monday for a news conference to show support for a suite of bills introduced by Rep. Jamie Becker-Finn (DFL-Roseville). providing $1.8 million to the University of Minnesota to develop improved testing of the disease HF984). Farmed deer are identical to wild deer, which makes them unique in animal farming, Becker-Finn said. The response to disease showing up in these farms has also been unusual, with disease-positive farms not being required to depopulate, an approach that has been used in other farmed animal disease outbreaks. “It can’t be burned, it can’t be bleached, and it’s unsafe to eat the meat of infected animals,” Becker-Finn said. She stressed the need to take legislative action is imperative before the possible public health risks of the disease spread further. Zanmiller echoed Becker-Finn’s concern over public health risks, noting that those risks had already begun to have economic impacts in his area. “We are talking to butchers now who are saying, ‘This is my last year doing deer, I’m not doing it. I can’t clean my equipment after you’re done, so it’s no good for beef, it’s no good for hogs.’ This really has got a ripple effect in rural Minnesota,” he said. Zanmiller said recreational land values in his area had begun to decline after chronic wasting disease was found. The disease has also hurt tourism. 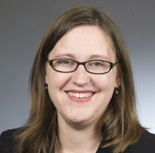 Rep. Kaohly Her (DFL-St. Paul) added that allowing the disease to progress in Minnesota’s herds would negatively impact cultures that value collecting their own food from the land, and would impair state residents’ right to hunt. “Chronic wasting disease is an urgent issue that we must make an effort to contain while we can,” Her said. Referencing the failure to contain the disease in Wisconsin, Becker-Finn noted these bills were only first steps for an effort that would require continued action and changes as the situation develops. Thirty-seven cases of infected deer have been confirmed since 2016. The disease is spread by prions, misfolded proteins, passed through bodily fluids. Unlike bacteria and viruses, prions cannot be completely destroyed by conventional sterilization. There are no vaccines or treatments. The Centers for Disease Control has recommended infected meat not be consumed by humans. An ongoing study in Canada has indicated the disease may be capable of transmission through meat consumption.